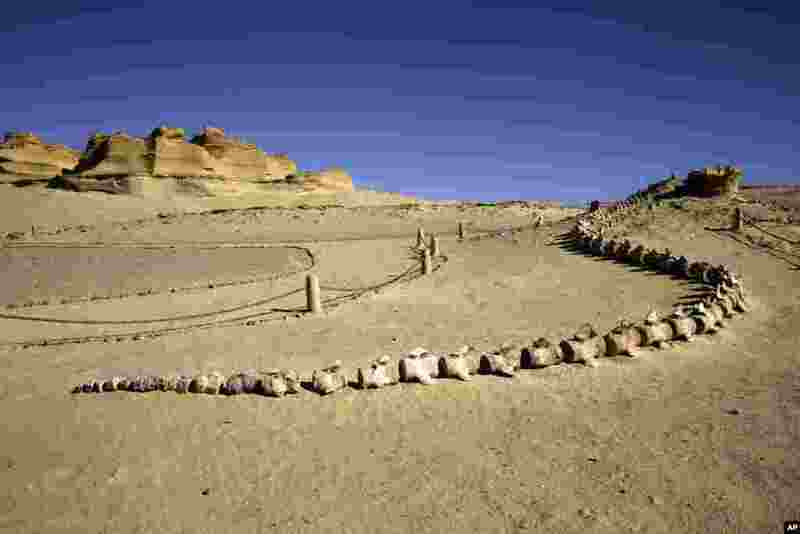 1 Fossilized whale bones are on display outside the Wati El Hitan Fossils and Climate Change Museum, a UNESCO natural World Heritage site, on the opening day, in the Fayoum oasis, Egypt. 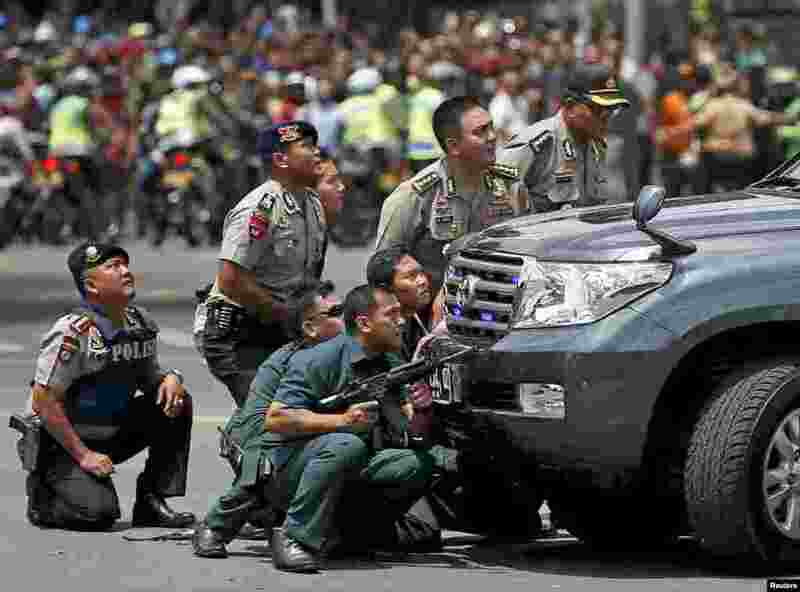 2 Police officers take a position behind a vehicle near the site of a blast in Jakarta, Indonesia. Several explosions went off and gunfire broke out in the center of the capital, leaving seven people dead, including all five attackers. The Islamic State group claimed responsibility for coordinated bomb and gun attack. 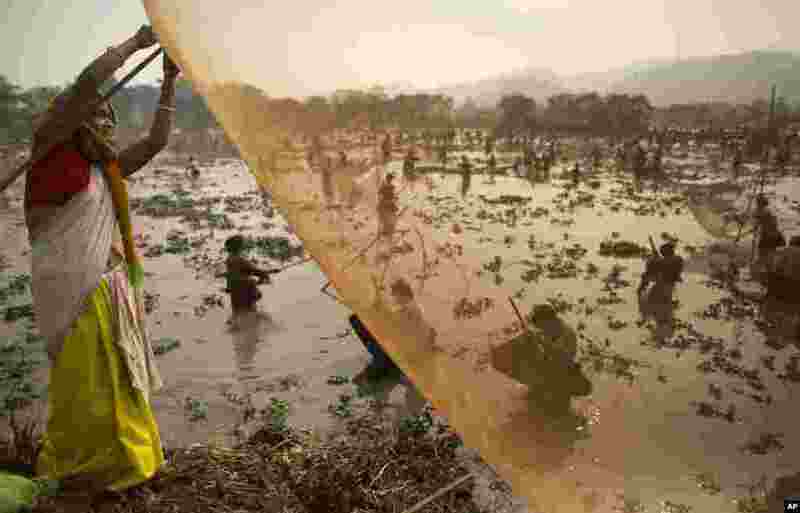 3 An villager prepares a fishing net during community fishing as part of the Bhogali Bihu celebrations at the Goroimari Lake in Panbari village, some 50 kilometers (31 miles) east of Gauhati, India. 4 A mourner cries at the funeral of Lokman Acikgoz and his two sons in Cinar, in the mostly-Kurdish Diyarbakir province in southeastern Turkey. 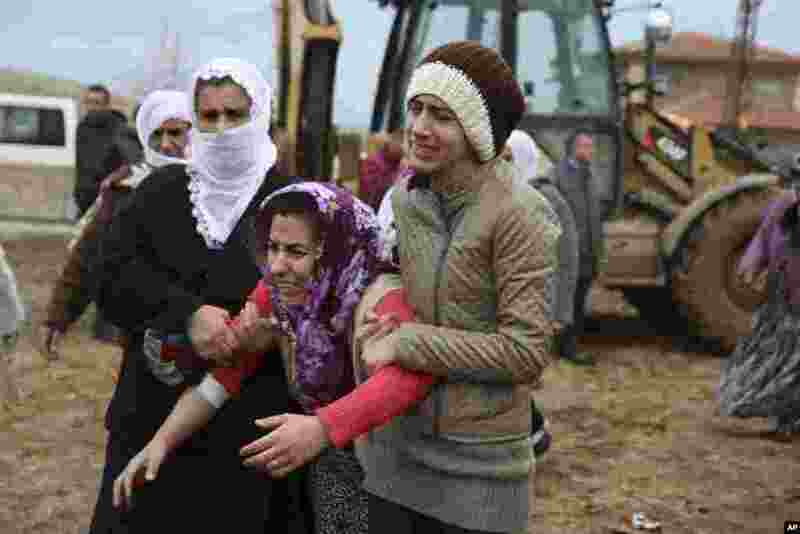 The members of the family were among several people killed when Kurdish militants detonated a car bomb at a police station in Cinar.